Painted on porcelain, embroidered on silk robes, woven into carpets, and etched in jade and gold, good luck flowers are everywhere you turn in China. The celebrated blooms are more than decorative - they are deliberately chosen, evocative, and powerful. 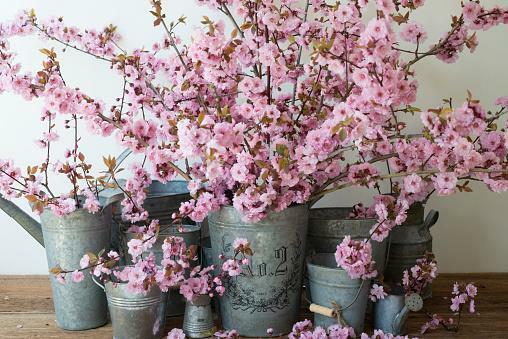 Feng shui speaks the language of luck and flowers when they adorn and energize your space. Vibrant, perfect fresh or silk flowers are an enhancement in feng shui, the venerable Chinese art of balance and placement. All plants affect the flow of chi energy, the life force that amplifies good fortune and protects against negative outcomes. Specific flowering plants are traditionally known for their life-giving, luck-bestowing natures. The Flowers of the Four Seasons were the subjects of art and poetry in the Ming dynasty. The progression of their seasonal flowering marked the passage of time, and the blooms became symbols for the qualities attributed to the seasons. Spring - Both the orchid and peony represent love, fertility, luck, and success. Summer - Lotus represents perseverence, beauty, and enlightenment. Autumn - Chrysanthemum represents optimism. Winter - Plum blossoms, which bloom against the snow, represent well-being and extended good fortune. Orchids vie for top blossom in the major chi category. When China was debating its national flower, peonies and orchids were almost a draw. Peonies had a slight edge but not enough to claim the official title. So, both orchids and peonies are representative Chinese flowers. Orchids are more spiritual than the blowzy peonies -- they belong to the higher chakras. Orchids signify purity and fertility, and they enhance career success. Put a spray of purple phalaenopsis in your home office, your meditation space or your family room for grace, harmony and progress. Peonies symbolize new love and relationship revival. The fluffy pink ones belong in your bedroom or the love/relationship area of your space - pink is a heart color. The deeper red ones kick it up a notch and practically shout "Marriage!" But pink is all about the romance - and you can't lose out with any peonies, they are that yang and that powerful. Peonies have been depicted in Chinese art for centuries and are perennial favorites in the national surveys to choose a China flower but they haven't yet managed to secure that prize. There is a saying in Buddhism which captures perfectly the miraculous existence of the lotus flower: "No mud, no lotus." The lotus roots itself in the mud at the bottom of the pond and sends a pure, exquisite flower up to the light. It is a metaphor for the human journey toward enlightenment. A lotus bloom is considered sacred in many Asian cultures. It is credited with bestowing its perfect peace and harmony in your home. 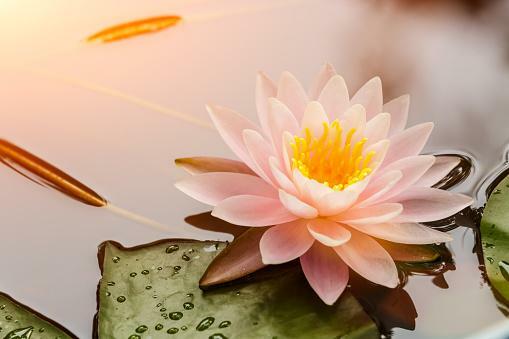 If you place a lotus blossom, or a water feature such as a koi pond with lotuses, at the entrance to your home, the flower will attract tremendous amounts of positive chi -- and remind you that the drive toward light, or perfection, is unstoppable. Chrysanthemums telegraph your balanced and effortless successful life. They are treasured all over Asia. The bright yellow ones are pure sunshine and toil away to make your dreams come true in the bedroom or common areas of your house. 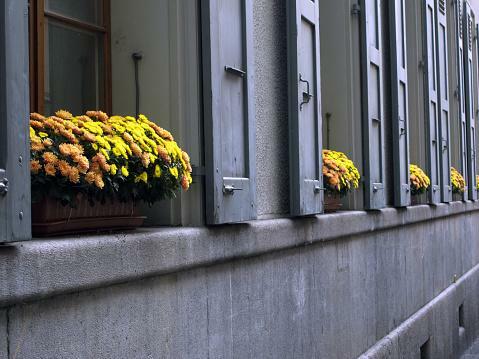 Let the neighbors see them -- set great pots of mums in a window -- so they can share in the good cheer and good fortune, too. Flowering branches, like plum, cherry, dogwood and peach, belong in your health area because they are icons of purity and healing. Often these branches flower in chill winter weather, a testament to their toughness and endurance and to the delicate marvel of their appearance. That's why plum blossom has also been proposed as China's national flower. Plum blossoms and other flowering branches are favorite decorations for Chinese New Year festivities as they gather positive chi. Not only do they confer robust health, they also pull in long-term good fortune. All flowers have energizing qualities and you can find more favorites to bless your space with good luck. 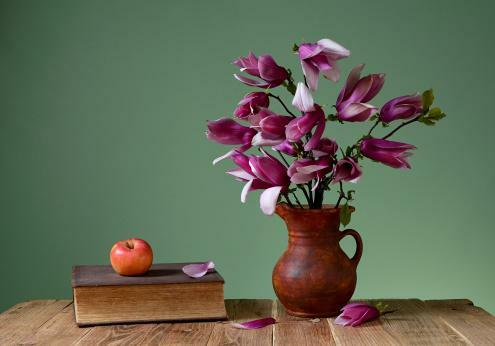 Magnolias, particularly the white blossoms, mean love and purity, and they are strong draws for prosperity. Arrange a bowl of them in your living room or meditation space. 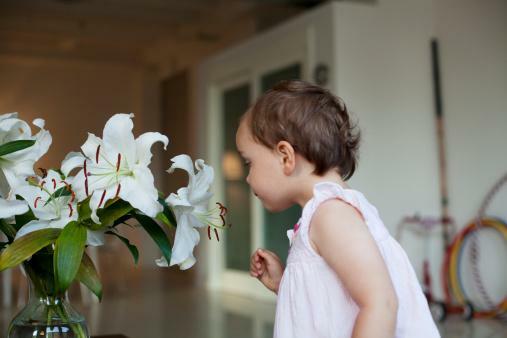 Lilies are calming, peaceful and happy plants that also add to a public area of the home, such as the living or dining room or entry, and the more private meditation area. A Chinese proverb says: "When you have only two pennies left in the world, buy a loaf of bread with one, and a lily with the other." A single blossom or a mass of blooms is intoxicating and uplifting as necessary as bread for a sense of wellbeing. 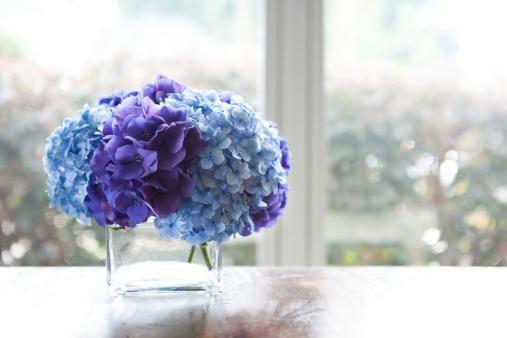 Hydrangeas are the exploding emblems of gratitude and spiritual enlightenment -- they work especially well in the creativity area. Set bunches of them all over your home in summer to capture the lighthearted joy of the season. Narcissus and other bulb flowers are auspicious Lunar New Year's gifts for loved ones because they hold such strong potential. Put a pot of white narcissus in your career area to attract notice to your talent and hard work. 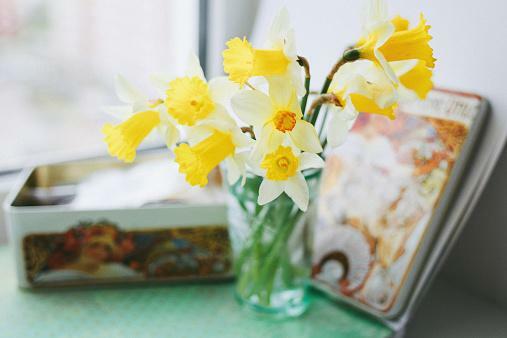 Yellow daffodils, another bulb flower, add a note of optimism and cheer. Career success is as inevitable as the flowering of those bulbs when you decorate with narcissus. Flowers past their prime can have the opposite effect of attracting good luck -- brown, dying, dried up or damaged blooms are repositories for stagnant, unhealthy energy. Prune and replace any dead flowers promptly to maintain the positive chi in your home, business or office. Skip the bonsai. Bonsai, lovely as they are, represent stunted growth and are not considered good feng shui plants, even if they are miniature flowering trees. Choose quality artificial flowers over dried flowers. The dried flowers are desiccated and lifeless while a beautiful silk flower captures the spirit of a flower at peak bloom. Trim thorns off flowers such as roses before arranging them for display. Thorns can snag and trap energy and impede its harmonious flow in a space. Display the flowers in your bedroom, garden, koi pond, or the corner of your desk. Boost their lucky vibes by placing the flowers in auspicious areas of the feng shui bagua, the map that indicates which areas of a space have the greatest effect on wealth, relationships, creativity, career success, health, and other important elements. 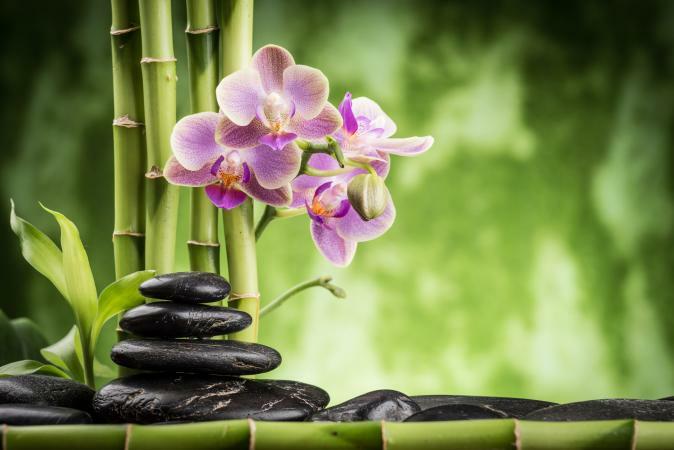 Working with flowers and feng shui principles is easy when you apply common sense. 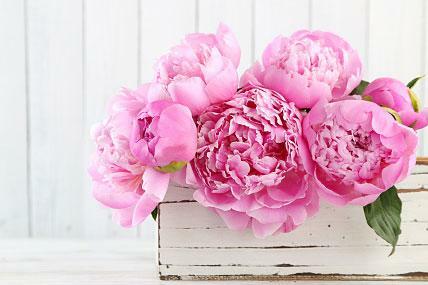 If you want a romantic partner, arrange your peonies in clumps of two, not solo blooms. Remember that red is the prosperity color, and it's also a jolt of energy to kick-start a venture or a relationship. Pink is slower, softer, and gentler. Keep your flowers in good trim so they are perfect, beautiful and uplifting. Mass a bank of colorful blooms together for maximum effect. And give the gift of lucky flowers to spread the joy of good fortune to your family and friends.